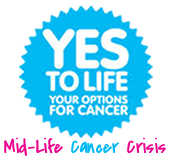 In July 2012, at the age of 38, I was given the devastating news that I had advanced ovarian cancer. This is my blog and the story of my fight to regain my health. I hope to share with you things that I've found helpful along my journey and keep you posted on my progress. Cancer - Where are we going wrong? I’m sorry I haven’t posted for quite a while but I’ve been extremely busy with treatments over the last 6 weeks. These have all finished now though, so I wanted to share with you what’s been happening and also give you some information about my favourite alternative anti-cancer protocol. So, where shall I start – there’s quite a lot to tell you about? I had my final chemo session on 9th September (number 6 of 6) and flew out to Austria the same day to begin several weeks of additional treatment there that I hoped would boost my response and get my tumour marker down into the normal range. My all important tumour marker, which indicates how much active cancer there is, was 51 at this point. The normal range is under 35. If you get under 35 and there are no signs of cancer on the CT scans, you are officially “in remission”. However, this number has an even greater significance for me. I have also, been offered the possibility of a new trial drug, which has shown promising signs in early trials, but I can only have this if my tumour marker goes down to 35! Having come down already from 7,756 to 51, I was tantalisingly close. To qualify for the trial drug, the trial doctors also needed access to my tumour sample. However, when the they went to look for it they couldn’t find it! I was told by the hospital that they has “exhausted all avenues” to locate it and that they “fear it may never be found”. You can imagine my disbelief when I found this out. Not only would this mean that I would not be eligible for the new trial drug that I’d been put forward for but probably also any new trial drugs in the future. Anyway, to cut a long story short, after several phone calls, emails and a formal complaint, the hospital put in the extra resources needed to carry out a thorough search of the pathology lab and they did eventually find it! So, after a great deal of anxiety we now had the tumour sample and could go back to focusing on getting my tumour marker down. So, back to my treatments in Austria. The treatment regime there was very intense. I spent 6-7 hours a day in the clinic receiving treatments every day, except weekends. The core part of the treatment was various types of hyperthermia, where they raise your body temperature to fever levels. I also had infusions of high dose vitamin C, alpha-lipoic acoid and taurolin. It was very tiring but unlike chemotherapy, all of the treatments were safe and non-toxic. The key thing for me though, was would it get my tumour marker down? I had another blood test on Monday of this week to check my tumour marker and it had gone down to 37 – just 2 points above where I needed it to be! I have one more week to go before the opportunity for the trial drug expires, so I have everything crossed that it will go down another 2 points or more before next week. I then have to hope that I don’t get the placebo, as it is a randomised controlled trial and there is a 1 in 3 chance of getting the placebo instead of the trial drug. It does seem that you have to have a lot of luck on your side when fighting cancer! I also wanted to write something about the Budwig Protocol which I feel is one of the best alternative cancer therapies that I’ve come across. Immediately after I was diagnosed in June 2012, Chila, my sister, and John started researching the seemingly endless advice on the internet about alternative cancer treatments and came across the Budwig Protocol. This seemed to be one of the most established and successful alternative cancer protocols around, so I started it as soon as I recovered from my surgery. 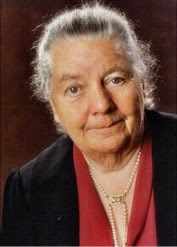 The protocol was developed by a German biochemist called Dr Johanna Budwig, a seven-times Nobel Prize nominee. She passed away in 2003, at the age of 95, but spent much of her lifetime conducting clinical research into natural cancer treatments based around oils. Dr Budwig found that by combining flaxseed oil with the sulphurated amino acids found in cottage cheese, the oil would become water soluble and available for use by the body’s cells. This in turn would help carry more oxygen to the cells, helping to fight the cancer. 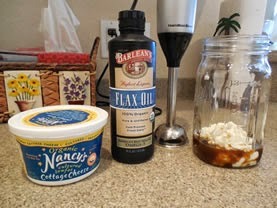 The protocol she developed involves taking a blended mixture of flaxseed oil and cottage cheese twice a day, together with ground flax seeds. For lunch a fresh salad is recommended with some cooked vegetables. For dinner a vegetable soup with spices, especially turmeric is recommended. A very small amount of ‘healthful’ cheese is allowed during the day, as it contains vitamin K2, which is a cancer fighter. In the evening a glass of organic red wine is allowed, as it has resveratrol in it, which is a also a cancer fighter. In addition to the dietary advice, Dr Budwig also advised going outside for at least one 30 minutes walk each day and trying to get as much sunshine as you can. As well as offering vitamin D benefits, the sunshine interacts with the electrons in the oils to help more oxygen reach the cells. Furthermore, 20-30 minutes meditation is recommended for relaxation and Dr Budwig recommends regular coffee enemas for detoxification of the liver and to help with pain management. I will post more about coffee enemas another time as that is a big subject on its own! There is an excellent internet Yahoo support group for the Budwig Protocol, with over 20,000 members. This has much more detailed advice on the protocol if you are interested, as well as a very active and helpful forum. It’s hard to say for definite that the Budwig protocol has helped me, as I don’t know what would have happened if I hadn’t done it, but I can say that while I was on the protocol I felt very well and full of energy most of the time. People were also commenting on how well I looked, as it did wonders for my skin! Obviously for me, this protocol wasn’t strong enough to get rid of my cancer on its own, but there are many people who have healed themselves using the Budwig Protocol alone. Just a little tip for the Budwig mixture. Some people find it difficult to take in the recommended amount of oil into their body. I found it helps to add small amounts of fruit like bananas and berries, honey or cocoa powder. All of these additions are compatible with the protocol and give it a very edible and pleasant taste. I sometimes made ice cream from it and enjoyed it as a dessert. That’s it from me for this post! I’ll post again when I have some more news. Thank you for all your kind wishes and support during my journey, I really appreciate it. Time is against me, so if you feel you can help by making a donation, however big or small, I would be very grateful. Give my fundraising a boost by buying your Amazon goods using my Amazon link below. There is no extra cost for you - you pay the same price at Amazon - but up to 10% of the price you pay is donated back to my appeal. This is a radio interview that I did on TNS radio with Deborah Walker, a naturopath who has given me tremendous encouragement and inspiration during my fight to regain my health. Sorry, your browser doesn't support this.